The Felicia Necklace Set consists of a necklace and matching drop earrings. The leaf-shaped danglers and black stones stand out in this necklace cast in golden metal. 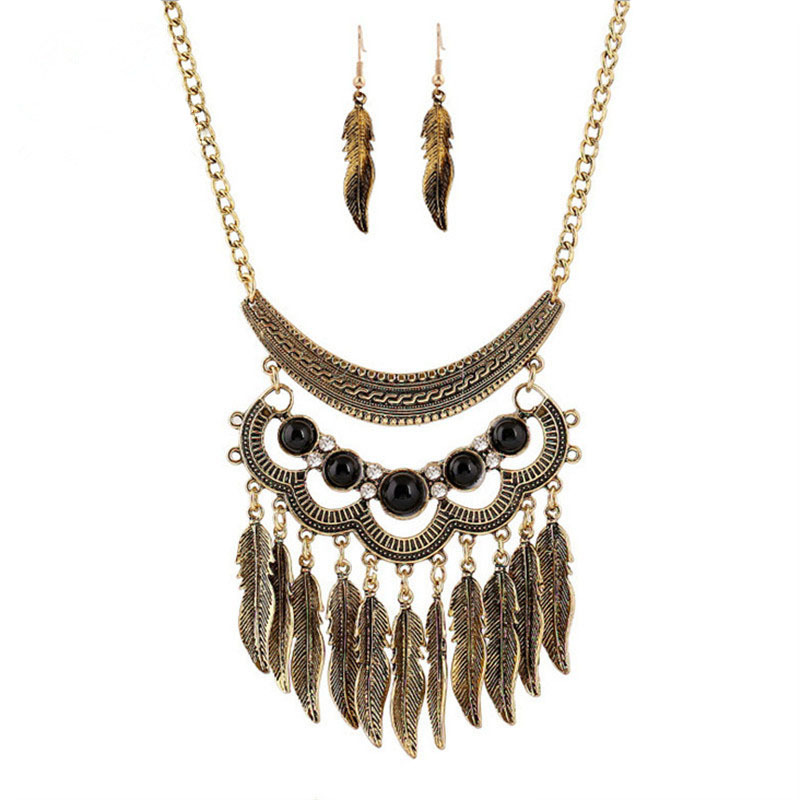 Order this gorgeous boho necklace set now from Australia's most popular online jewellery store.